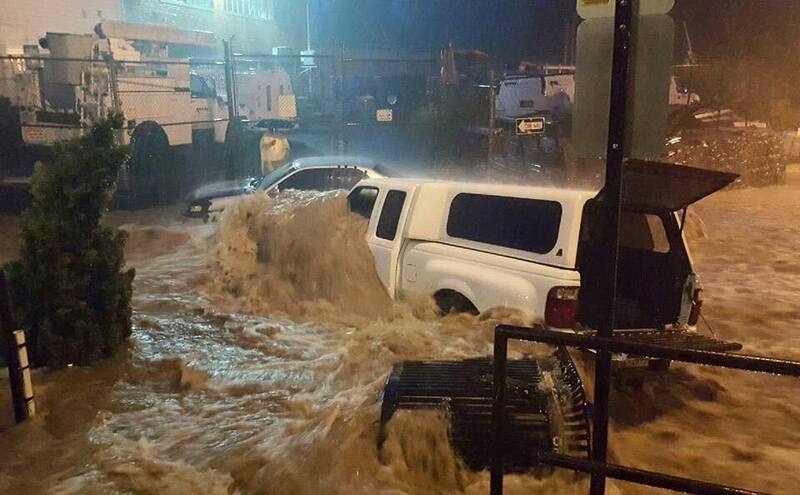 Ellicott City flooding, July 30, 2016. Photo by Cody Goodin. As part of their ongoing Weather It Together program, the Maryland Historical Trust has just released an essential new resource for Maryland’s historic communities to plan for and adapt to flooding and other issues related to climate change. 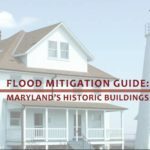 Flood Mitigation Guide: Maryland’s Historic Buildings is a comprehensive 350 page document produced by the Preservation Design Partnership of Philadelphia and is intended to help local governments and preservation advocates plan for and adapt historic buildings and districts threatened by flooding from tides, coastal surges, flash floods and sea level rise. Both the Weather It Together program and the Flood Mitigation Guide were developed with support from the National Park Service’s Hurricane Sandy Disaster Relief Fund. In addition to the new guide, the Maryland Historical Trust provides supports to communities looking to address the risks of natural hazards to historic properties through hazard mitigation planning, disaster response and recovery, and climate planing and adaption. In recent years, Marylanders across the state have been increasingly impacted by major flood events and Preservation Maryland applauds the Maryland Historical Trust for preparing and releasing this much-needed guidance for historic communities. Preservation Maryland is Maryland’s first and largest organization dedicated to preserving the state’s historic buildings, neighborhoods, landscapes, and archaeological sites. Want to receive email updates from Preservation Maryland? Our Story Donate Press & Media Resources Contact Us Site by Younts Design Inc. © Preservation Maryland, 2019.